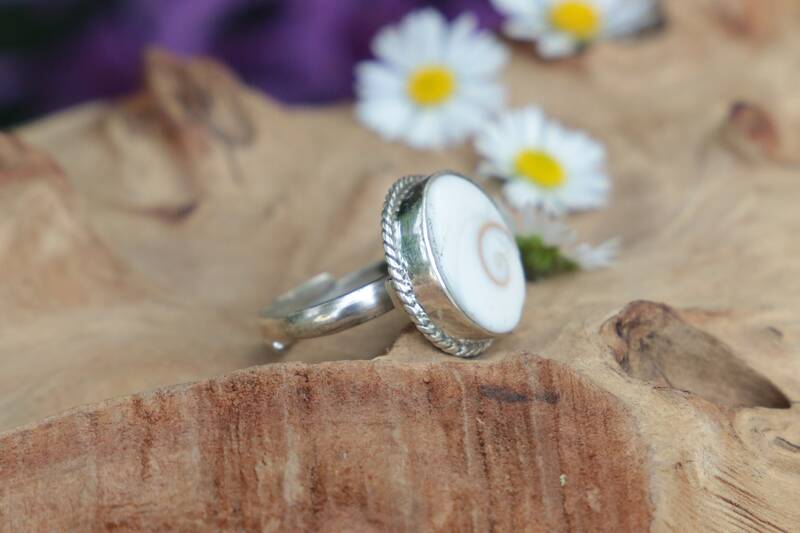 This rustic Shiva shell ring is bezelled in high quality 925 Sterling silver with Split Ring design making it fully adjustable and one size fits all. 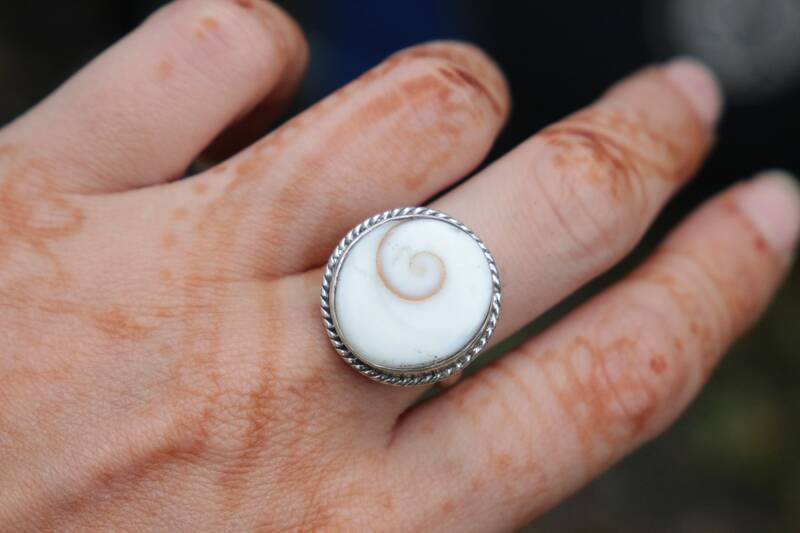 We found these shells on the beaches of Goa and knew we had to make them into something special! 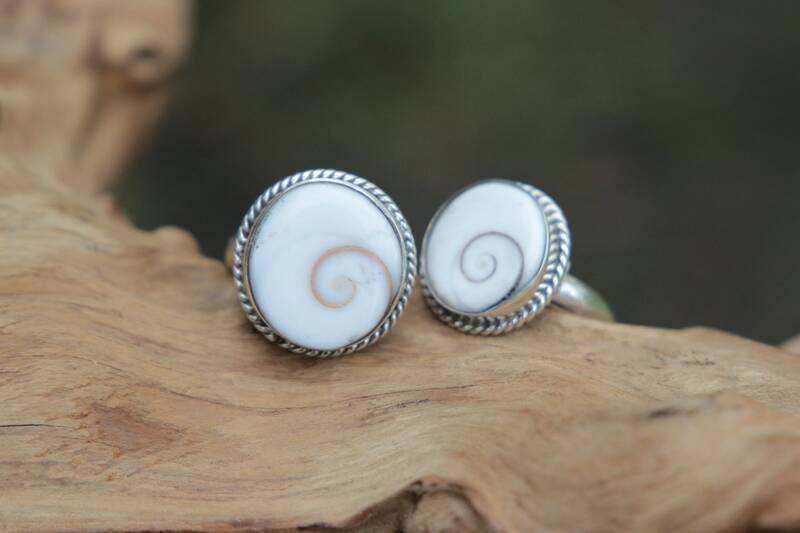 they feature beautiful silver wire twist which compliments the natural spiral of the shiva eye shells themselves. 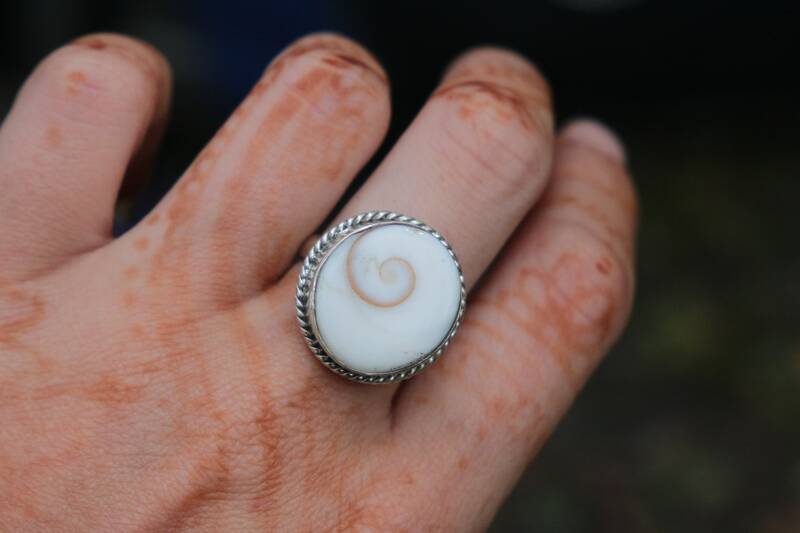 The shiva shell or Shiva eye is said to be the eye of lord shiva, which represents wisdom and the ability to look beyond the surface. 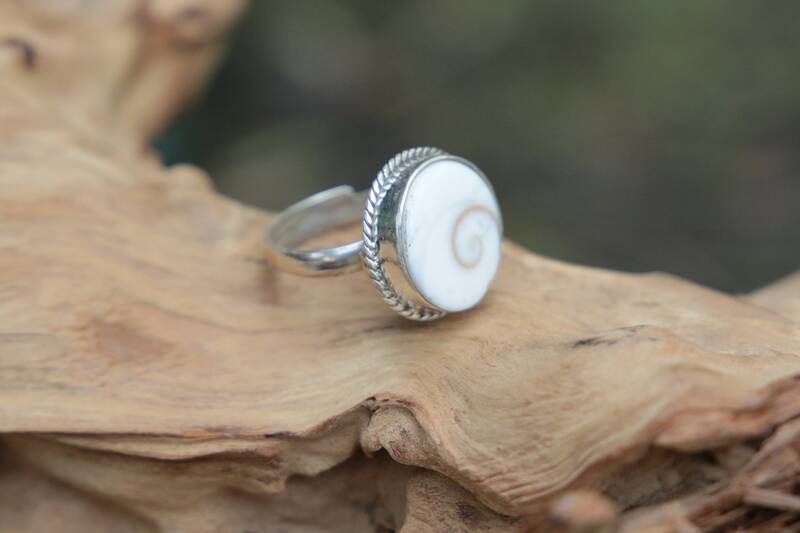 It activates the third eye so wearers can see clearly and feel a sense of awakening.